Just when the jealousy begins to creep in over not having something glamorous to do on New Year’s Eve, I remember that pyjamas rule and high heels drool. I’m typing this at 1:30 in the afternoon of December 31st, at my desk, which is a few feet from my bed. The twins are wrestling on my bed while Molly fixes one of her cubes and shows me how to do the #hattoss challenge. 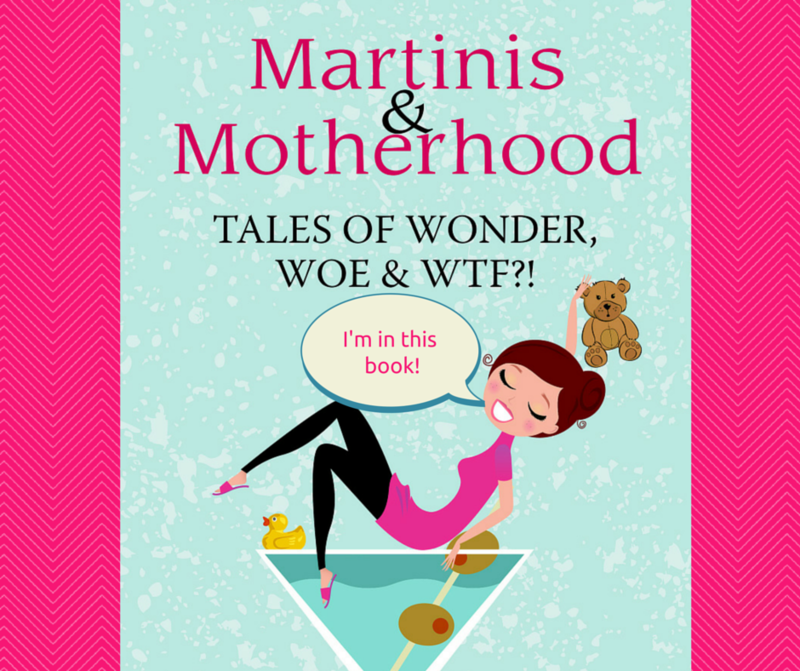 We are all in in our jammies and have no intention of changing that. We’re all excited to have an evening of board games, movies, and junk food, with a dress code of fleece and flannel. 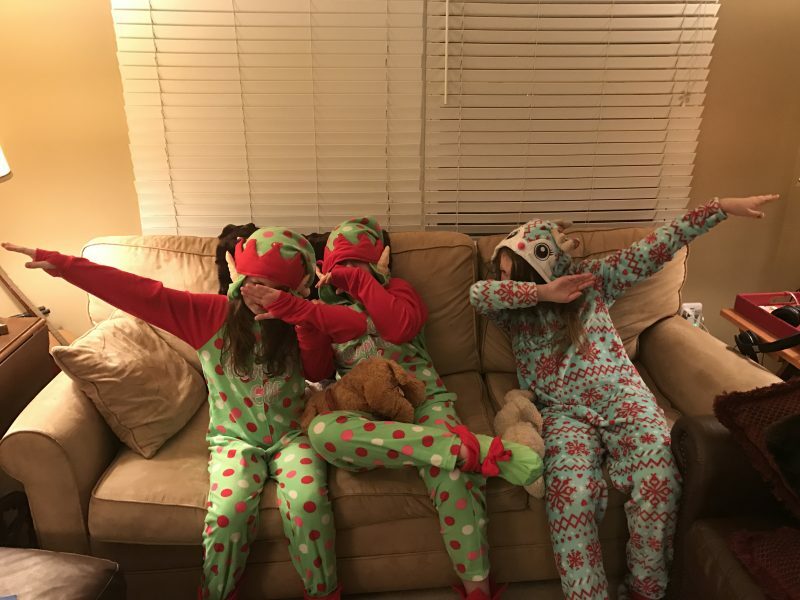 Dabbing in onesies – this was 2016! All we need is a bottle flip. Somehow I ended up wandering the grocery store for two hours because I was reminded that I promised to make fondue and poutine tonight, so I was forced to put on clothes. I should have stuck with the PJs though because the other people at the store looked just as confused as I did by the condiments, appies, and different varieties of cheese. I don’t think my wardrobe could have made me look any less glamorous than I already did with a cart full of chips, carbs, and cheeses with different melting points. No one was under any impression that I was on my way to a highfalutin party, and jammies would probably made a wider path through the crowds in the aisles. I used to try and trick them into ringing in the new year at about 7pm, but now that they are tweens they are up until nearly midnight every night over the holidays anyway. And except for Maggie, they sleep long into the morning. 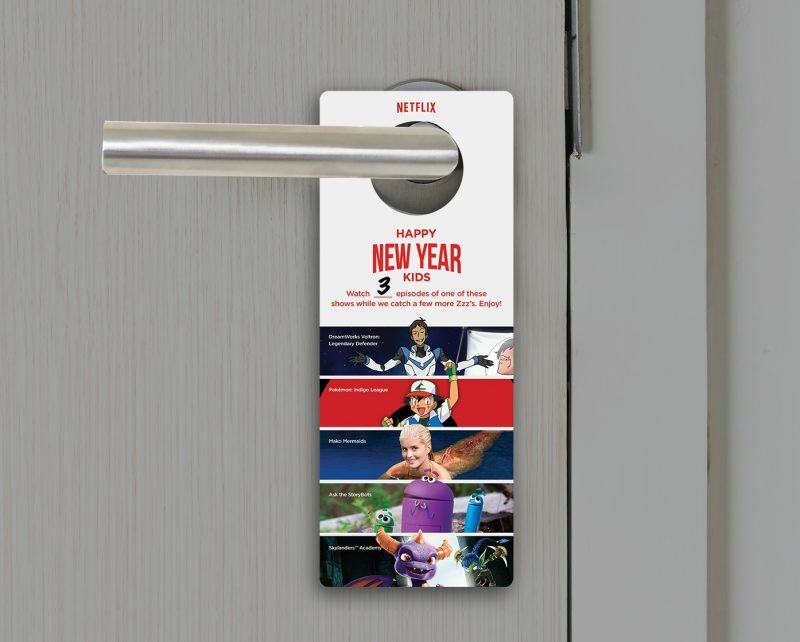 But for those of you with little ones who will be up at the crack of dawn, Netflix has a plan to help you start the year off without sleep deprivation. It may be your only day, so take advantage of it! Happy New Year, and have a wonderful time tonight, however you celebrate! Disclosure: I am a member of the Netflix Stream Team and receive perks in exchange for sharing our experiences with the service.